Born on December 1, 1840, Marie Bracquemond was one the three grand dames of Impressionism together with Mary Cassatt and Berthe Morisot. Her husband, Félix Bracquemond, was also a painter and accomplished etcher and her use of Impressionist techniques, had been the cause of friction between them. 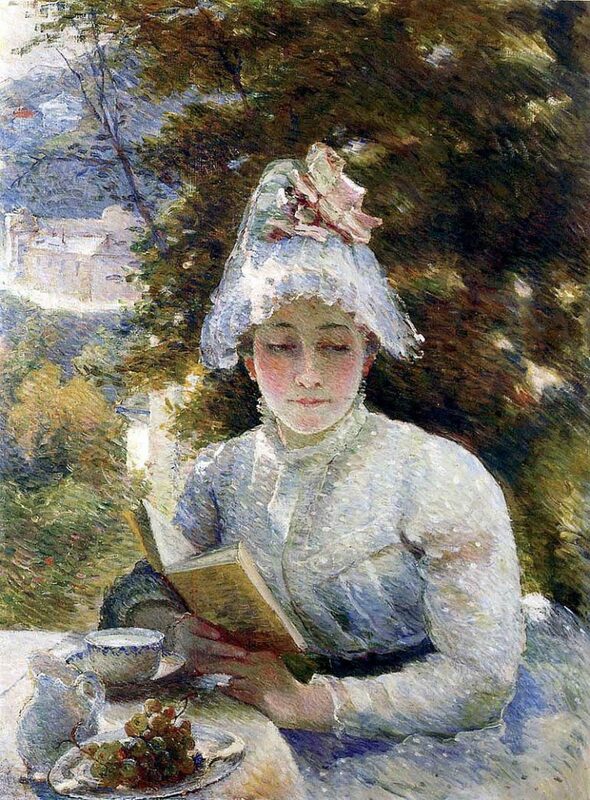 Her husband’s influence was one of the reasons why Marie Bracquemond was often omitted from books about women artists. Marie Anne Carolyn Quivoron was her maiden name. She had an unsettled childhood and her family moved around from Brittany where she was born until they finally settled in Ussel. She took art lessons during her teens under M. Auguste Vassort. She was a good pupil and achieved good progress in her lessons that the painting she submitted to the Salon in 1857, featuring her teacher, sister and mother, was immediately accepted. She was later introduced to Ingres and became one of his students, although she commented that Ingres was not too favorable to female students and would often assign them easier painting tasks, such as genre scenes, portraits, fruit and flower still lifes. However, an art critic, Philippe Burty particularly mentioned that Marie Bracquemond was one of Ingres’ most intelligent pupils. She did not stay long in the studio of Ingres and started receiving commissions. She was asked to do a painting of Cervantes while in prison by Empress Eugenie and later, the director general of French museums, Count de Nieuwerkerke, commissioned her to create special copies of the works of the Old Masters exhibited in the Louvre. That was where Felix Bracquemond saw and fell in love with her. After marriage, the two worked at the Haviland studio of Limoges in Auteuil where Felix was the artistic director. Marie painted large Faience tile panels showing the muses as well as designed dinner service plates. The tiles and dinner plates were featured at the 1878 Universal Exhibition. Marie also regularly submitted painting to the Paris Salon starting from 1864. Her husband also taught her etching although she found the process very constraining. She did manage to produce 9 etchings that were exhibited at the Galeries Durand-Ruel for the Society of Painter-Etchers in 1890. Felix introduced Marie to several artists, including Chardin and she was specifically drawn to the elegant modern women painted by Alfred Stevens from Belgium. She was influenced by the Impressionists between 1887 and 1890 and started to change her painting style. She made larger paintings, with higher color intensity and began to work outdoors, with Degas and Monet as her mentors. 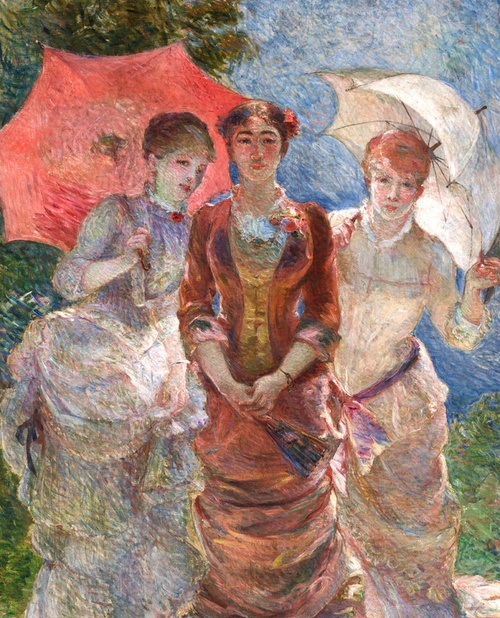 Marie Bracquemond was in fact one of the first among the Impressionists to do plein air painting and the technique helped her produce some of her significant canvases. She joined the Impressionists in their exhibitions in 1879, 1880 and 1886 and had some of her works featured in La Vie Moderne in 1879 and 1880. She also had regular exhibitions at the Paris Salon from 1864 and started to exhibit exclusively with other Impressionist artists in 1879. Her husband bought the home of Gauguin in 1886. Gauguin also exerted an influence in Marie’s style. He taught her the technique of preparing her canvas so that she could achieve the intense shades of color that she wanted. While Impressionist artists rely on speed and spontaneity, Marie Bracquemond always planned her paintings, using drawings and sketches before starting the actual painting process, although there was still a spontaneous feel to it. With her husband’s continued resentment of her painting style, she got discouraged and stopped painting and only accepted private commissions. She continued to support Impressionism until her death in 1916.